Each individual has a distinct career path and following passion is one of those important factors to helping individuals become more self-motivated and passionate about what they do. 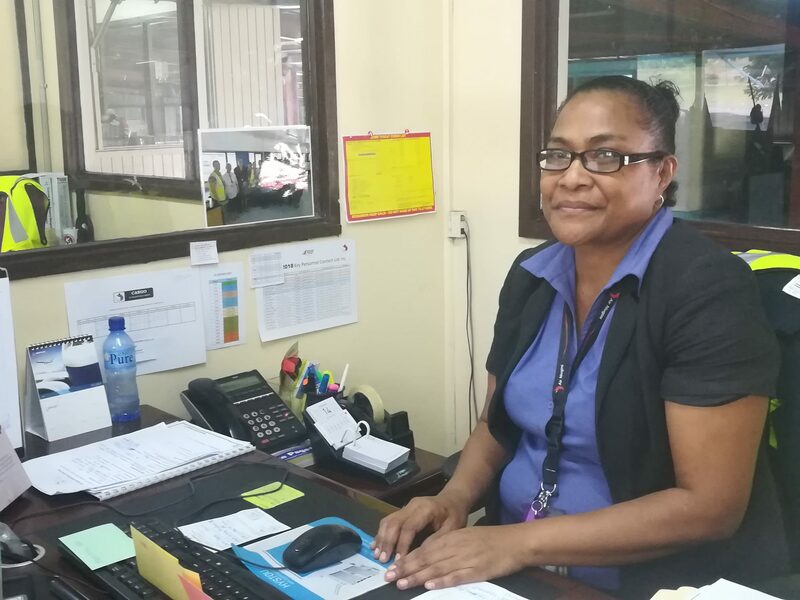 Meet Ms. Paila Leka, a mother of one from Makerupu in the Central Province who has been recently appointed by Air Niugini as Executive Manager, Cargo Services. Ms. Leka started work with Air Niugini twenty seven (27) years ago as a Cargo Officer and has been there since, covering all operational areas within the Cargo Department. She was Manager Standards & Administration prior to her recent appointment. She said her passion for the job and the eagerness to understand the cargo business has kept her going this long. Ms. Leka’s new role now is to ensure all cargo operations are carried out safely and in compliance with cargo policies and procedures in the Cargo Manual, IATA, IOSA & CASA requirements. She also over-looks the overall operations of cargo to ensure better communication and procedures are followed to ensure cargo safely reach their final destination. It’s the first time, a woman has been appointed to this senior position in Air Niugini. Ms. Leka acknowledged Air Niugini for the trust and confidence and the opportunity for a new and bigger role and who knows where this may lead to in the National Airline. Air Niugini uplifts cargo out of the base in Port Moresby to 24 domestic ports and 12 international ports.